From September elk to January mallards, the Men's Kiln Long Boxer Brief is the perfect solution for cooler weather. The 10" inseam and articulated construction are familiar to those who know our Red Desert of years past. Constructed of Midweight 250 Merino-X fabric, this interlock knit is being used in our boxer category for the first time to add super comfortable insulation in cooler weather. 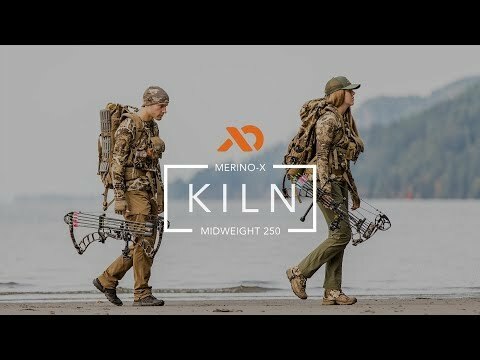 The Kiln midweight 250 Merino-X is also available in a men's Boot Top Bottom. I wear a 32 (recommended 31-33 for medium). The waistband is loose and there is bunching of material around waistband. If you have never wore wool boxers you are missing out. These things are extremely comfortable. I wore these non stop for 4 days on a backpack elk hunt in Colorado and by the fourth day, they still did not stink. Mainly purchased for hunting but I think I'm going to switch to these for everyday wear. The fit is good around the waist, little baggy around the legs but I liked it. As far as the sweat removal and odor these are top notch, and extremely comfortable. The caveat I did not like on these was the waistband wore out/stretched within about 5-10 sits and basically not wearable anymore. I do ozone my clothing, maybe that is wearing out the elastic waistband as they fit perfect the first time i got them and have gotten looser and looser to now will be a garage rag. I'm not a big guy by any means, so not like i was stretching it out. I have other base layers from FL and they are treated in ozone at same time and have lasted 2 years now and 0 stretch in elastic waistband, so can't tell for sure what the issue is. I ordered these with the goal of wearing them on a week-long elk expedition into the backcountry. I had high expectations; temps ranged from high teens to mid 50s, and I was planning on bringing a single pair of underwear that had to do it all. 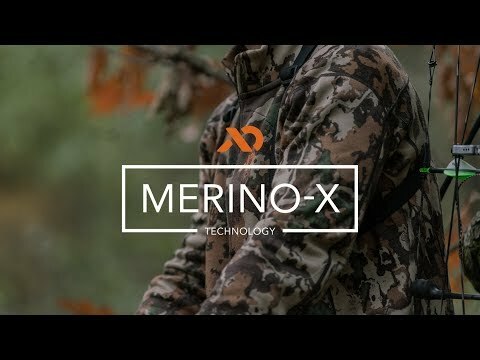 7 days later, I emerged from the pines with a solid respect for the power of merino. Minimal odor despite many hard miles of sweat-soaked hiking. After day 3 I noticed some pilling on the thighs where my pants rubbed against the fabric, but only time will tell if that matters down the road. The one 'downside'** I would say is that if your sleep system is warm enough to keep you comfortable, these underwear are probably too warm to wear to bed. Next time I'll bring something more lightweight to sleep in and hike in these during the day. **Not actually a downside. These are supposed to be warm. I'm a slim guy with a 32" waist and I felt like the fit was a bit loose during the initial try-on, but never had any issues with chafing or bunching. Overall, I highly recommend the Kiln underwear based on their performance for me. I ordered a pair of these just before heading to Idaho for a 15 day Elk Hunt. A couple things that I would like to warn about are that in high output warm weather hunts these are a bit too warm. I wanted to order the lighter weight version but they were sold out. Also I normally wear a large size and these seemed a bit larger than I’m use to. Overall I think these are great. They are warm, keep odor to a minimum and feel great. Even though they seemed a bit bigger on me I still liked them. I will be using them every tree stand sit in Wisconsin now. Like I said, they seemed a bit bigger than I’m use to. These boxers are the best. Extremely comfortable, don't ride up, fight odors extremely well, and now with the addition of spandex, hold up better than the red deserts did. Now I just need about 15 more pairs so I can wear them every day. Much more comfortable and warm than synthetics. These boxers are the best! The addition of spandex is a great improvement to the old style, and will hopefully solve the crotch wearing out issue. Awesome product! Extremely comfortable, and great in warm or cold weather. I thought they would be too warm in the heat of the day or on physical days in the field, but they performed great. No chaffing or places that rubbed awkward. Definitely recommend! I ordered the same size boxers as I had in other brands and they fit the same if not better. I was skeptical at first because I loved the Red Desert Boxer but Kiln is even better! I not only use them for hunting, but I work as a firefighter hiking and working in the heat. They wick away moisture and are extremely comfortable! Of all my FL products, these are my favorite! I wear a 34”-36” waist paint and the Large fit me perfectly.